We pick up with failed hyperspace explorer Jori Daragon flying the Starbreaker 12 back to her home planet of Koros Major. She is weeping and miserable and will be for the rest of the book, and it gets old fast. Immediately upon landing she is arrested for “grand theft, firing upon Cinnagar Security ships, destruction of property, fraud, resisting arrest, reckless mayhem, [and] unauthorized departure through restricted shipping lanes.” (Reckless mayhem is, perhaps, the most enjoyable of crimes.) Jori tries to warn the capital city of Cinnagar about the imminent Sith invasion that she doesn’t know about, but they laugh the Sith off as a fairytale (seriously why does everyone know about the Sith?) and sentence her to hard labor on the colony world of Ronika. Shipping merchant Ssk Kahorr, who is still a giant yellow lizard, takes possession of the Starbreaker 12 as compensation for the cargo ship he lost using one of Jori Daragon’s unreliable hyperspace routes. This is completely legal, even though the route was approved by the Navigators’ Guild and flagged as highly dangerous. Also despite the fact that Ssk Kahorr had already murdered the guild representative who approved the route and tried to have Jori and her brother killed. Where is the Occupy Cinnagar movement when you need them? 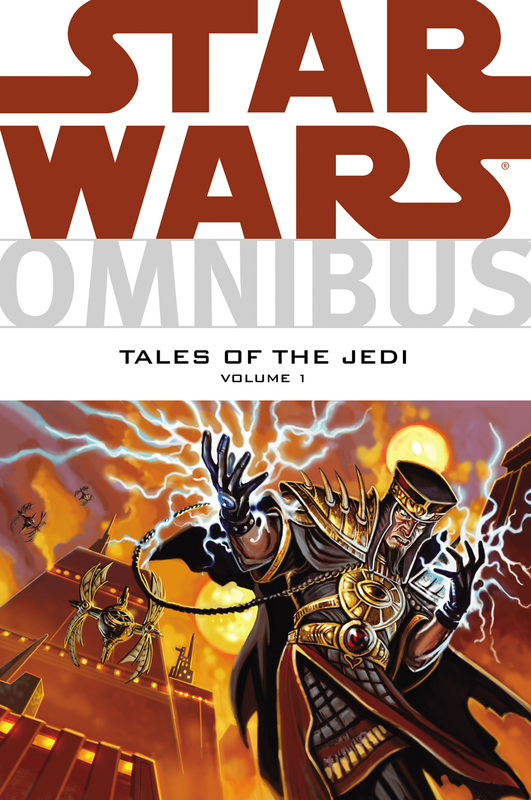 Back in the Sith Empire, Jori’s brother, Gav Daragon, has become the sort-of apprentice of Naga Sadow, Dark Lord of the Sith, who has taught him a few paltry Force illusions. As Sadow prepares to launch his invasion of the Republic, his old rival, the ludicrous Ludo Kressh, returns to Sadow’s stronghold in a single ship. He tries to warn the other Sith Lords that Sadow has betrayed them and instigated this war with the Republic for his own glory, but Sadow tells Gav to go push a big red button on the wall. He does so, then acts surprised when Kressh’s ship suddenly explodes. “You tricked me!” Gav whines. “I didn’t know I was going to destroy him. I’ve never killed anybody.” Over the course of this book, Gav Daragon will prove himself a serious contender for the most stupid character in all of Star Wars. Meanwhile, Jori concocts a plan to escape from Ronika. “I’m sure they’ve guarded against any carefully planned escape . . .” she muses, “. . . so I guess I’ll just have to act spontaneously.” She hits a guard in the face with a rock, jumps into an ore shuttle, and flies away while the other guards shoot at her. She’s finally shot down by security starfighters over Cinnagar, but survives by sailing to the ground in a hang glider that looks like it’s made out of canvas, wood, and twine. Were parachutes seriously too advanced a piece of technology for this time period? I mean really? Conveniently, Jori lands right outside the Cinnagar royal palace. She scales the walls like it ain’t no thang and bursts in on Empress Teta, ruler of the Koros system. Teta is about to impale her with a spear but Jori gets out her story about the Sith Empire through her snot-soaked sobs and Teta stays her hand. Odan-Urr, bibliophile and Jedi Nerd, fortunately happens to be there and reminds the empress of his vision of the Sith invasion. Empress Teta, Odan-Urr, and Memit Nadill, a Jedi who looks like a green camel with dreadlocks, begin assembling the Koros system’s fleet to fight the invaders, but they know that the rest of the Republic, having failed to heed their warning in the previous book, will be caught off-guard by the attack. The Sith themselves are finally ready to follow the signal of the tracking device Naga Sadow put on the Starbreaker 12. Sadow explains that he will remain hidden in his Meditation Sphere, a ship that looks like a giant eyeball with wings, while the inexperienced and incompetent Gav Daragon leads the fleet into battle. Because the Sith control a relatively small region of the galaxy compared to the Republic, their fleet is too small and their Massassi, members of the Sith warrior caste, are too few to prevail in a conventional war. Through the power of the Meditation Sphere, however, Naga Sadow will create a host of illusory ships and troops to bolster his real forces. As long as the Republic thinks they’re outnumbered, the Sith’s victory is assured! I’m no military tactician but I have a few concerns about the usefulness of this ploy as a war-winning strategy. But since nobody in the comic says that the invasion fleet launches and the Great Hyperspace War begins! A last alliance of Elves and Men marched against the armies of Mordor.